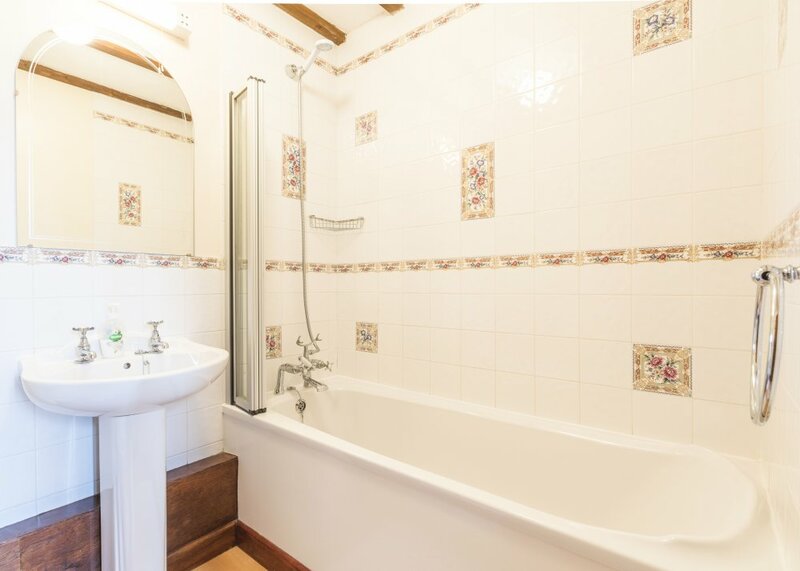 A spacious ground floor cottage with easy access, at the back of the central courtyard. With views into the Forest of Dean, within a few metres of the gate into the Forest and to the car park. Centrally heated, double glazed and comfortably furnished. Fully equipped for 2 people with TV with Freeview and DVD players, full size electric oven and gas hob, microwave, fridge with icebox, and a selection of books and games. 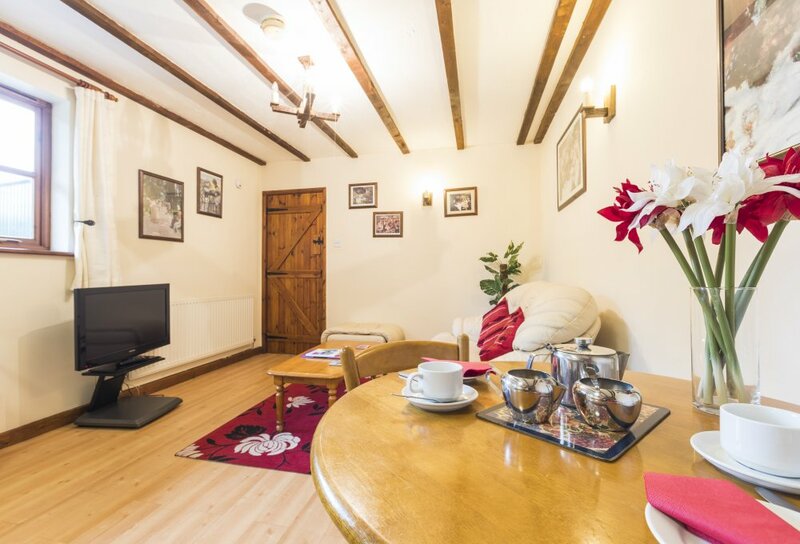 A spacious ground floor cottage with easy access, at the back of the central courtyard. With views into the Forest of Dean, within a few metres of the gate into the Forest and to the car park. Centrally heated, double glazed and comfortably furnished. Fully equipped for 2 people with TV with Freeview and DVD players, full size electric oven and gas hob, microwave, fridge with icebox, and a selection of books and games. The washing machine, tumble dryer and freezer are located in the Laundry Room (no charge). The interior of this cottage is all on one level with no steps inside. There is one doorstep outside. For our Access Statement please refer to our ‘Information & Help’ page above. Open plan Lounge /dining area / kitchen. Leather settee & pouffe, Dining table with two chairs. Double bedroom with fitted wardrobes. Bathroom with shower over bath. For more information about Access, and bringing your Pet or your Bicycle to Deanwood Holiday Cottages, Forest of Dean, please refer to the ‘Information & Help’ page. Swallow Cottage, Deanwood Holiday Cottages, Forest of Dean Accommodation, 18 – 23 April 2019. ‘Great cottage in a great location with great facilities! Thanks very much!’ Mark & Yasmin, Stockport. Swallow Cottage, Deanwood Holiday Cottages, Forest of Dean Accommodation, 6 – 13 April 2019. ‘Enjoyed our stay. Everything very clean. Had lots of lovely walks. Enjoyed lots of pub lunches. We will be back!’ Mary & Keith, Hertfordshire. Swallow Cottage, Deanwood Holiday Cottages, Forest of Dean Accommodation, 30 March – 6 April 2019. ‘We have had a fantastic week in ‘Swallows’. The cottage couldn’t have been cosier – home from home! Thank you for the milk in the fridge … it was very welcome with our first cup of tea when we arrived. We went walking every day – there is so much to see and do. We visited *PUZZLEWOOD* which is an absolute must … a purely magical place and if anyone reading this has never been there before, then do go!!! The cottage is so well equipped … you have thought of everything, thank you!!! …and thank you for the chocs in the Welcome pack!’ Ken and Lorraine from Kent. Note from Elaine – I’m so pleased that you enjoyed our cottage and our beautiful area so much – and Thank You for the gorgeous sketch in the Visitors’ Book. I love it!!! Swallow Cottage, Deanwood Holiday Cottages, Forest of Dean Accommodation, 22 – 29 March 2019. ‘Excellent break. Cottage very comfy and clean. Well equipped, and Welcome Pack a lovely thought. George and Tubs the budgies enjoyed it too.’ Jane & Lee, Powys. Swallow Cottage, Deanwood Holiday Cottages, Forest of Dean Accommodation, 24 – 28 December 2018. ‘Had a great break. Cottage was everything we need, warm, comfy, well equipped. Out of the door into the forest, doesn’t get better than that when you bring dogs. Would like to come for a summer holiday. 10/10 *****5 star’ Carol & Mick, Black Country. Swallow Cottage, Deanwood Holiday Cottages, Forest of Dean Accommodation, 29 November – 3 December 2018. ‘This is our third visit to this beautiful site and our first in a cottage! Lovely! We will be recommending Deanwood to all our family and friends and look forward to visiting next year. Thanks to John, Elaine and Team.’ Judy & John, Isle of Man. Swallow Cottage, Deanwood Holiday Cottages, Forest of Dean Accommodation, 27 October – 3 November 2018. ‘We discovered the site this summer when we enjoyed a week in our caravan. Couldn’t believe how clean the site was and absolutely fantastic for our dogs. Cottage was equally as good – the little extras (milk, washing-up liquid, soap etc.) make all the difference. We have had a wonderful, peaceful week and will undoubtedly return. Many Thanks. This has been our Honeymoon week and all that we hoped it would be!’ Sean & Shelley Clarey, Staffordshire with Cooper & Kia (German Shephers) and Clio the husky. Swallow Cottage, Deanwood Holiday Cottages, Forest of Dean Accommodation, 8 – 12 October 2018. ‘Very nice.’ Joy & Gerald, Pembrokeshire. Swallow Cottage, Deanwood Holiday Cottages, Forest of Dean Accommodation, 14 – 17 September 2018. ‘Really lovely place. Been back every year. Always clean and tidy. People very friendly.’ Mick & Lynda, Maidenhead. Swallow Cottage, Deanwood Holiday Cottages, Forest of Dean Accommodation, 7 – 14 September 2018. ‘Excellent stay – everything perfect. Relaxing perfect break – definitely consider returning. Thanks.’ M & G Norridge. Swallow Cottage, Deanwood Holiday Cottages, Forest of Dean Accommodation, 5 – 11 August 2018. ‘Great stay, cottage lovely. Relaxing holiday with our daughter, son-in-law & grandchildren who stayed in Badgers Cottage. Maybe come back in the future.’ M & G, West Midlands. Swallow Cottage, Deanwood Holiday Cottages, Forest of Dean Accommodation, 28 July – 4 August 2018. ‘Lovely cottage, really comfortable. Great location. Peaceful and restful. Really enjoyed our time here. Thank you!’ Jeff & Carol, Yorkshire. Swallow Cottage, Deanwood Holiday Cottages, Forest of Dean Accommodation, 15 – 22 June 2018. ‘Cottage had everything, so well done. We were very comfortable. Thank you for the Welcome pack.’ Gill & Geoff Harvey, Isle of Man. Swallow Cottage, Deanwood Holiday Cottages, Forest of Dean Accommodation, 12 – 19 May 2018. ‘Our third visit to Deanwood in the last 12 months. Comfortable & peaceful with the added bonus of a visit to the local pub, The Nags Head! Very friendly and great food.’ Joyce & Graham, Coventry. Swallow Cottage, Deanwood Holiday Cottages, Forest of Dean Accommodation, 5 – 12 May 2018. ‘Second visit, every bit as enjoyable as the first time; excellent location and ammenities. Thank you.’ Sylvia & Ted, Sanderstead, Surrey. Swallow Cottage, Deanwood Holiday Cottages, Forest of Dean Accommodation, 13 – 16 February 2018. ‘Lovely cosy cottage. We really enjoyed our stay here and would love to come back again in the future.. Thank you.’ Paige & Ollie, Worcestershire. Swallow Cottage, Deanwood Holiday Cottages, Forest of Dean Accommodation, 8 – 12 January 2018. ‘Idyllic location, we and the dogs have been overwhelmed by our cottage and the forest. Relaxing, tranquil, cosy, well appointed. Our first visit but already planning our return to get our fix of the grat views from the camping fields.’ Andy & Rhian, Ziva & Gibbs the dogs, Swansea. Swallow Cottage, Deanwood Holiday Cottages, Forest of Dean Accommodation, 22 – 26 December 2017. ‘Our second visit within 6 months. Fantastic break again and the dogs loved the forest. Always feel so relaxed and comfortable. Shame we have had to cut our stay short by a day but more snow forecast and work beckons on Wednesday 27.12.17. so wise to head home. We will be back. Thank you Elaine, John & Team for a fantastic break. Best Wishes for 2018.’ Mark, David, Mollie & Archie, Highbridge, Somerset. Swallow Cottage, Deanwood Holiday Cottages, Forest of Dean Accommodation, 2 – 9 September 2017. ‘Best self-catering property we have ever holidayed in. There is nothing more required. Lovely birthday for Chris.’ Kate & Chris, Staffs. Swallow Cottage, Deanwood Holiday Cottages, Forest of Dean Accommodation, 26 – 30 August 2017. ‘Fantastic place. Very well equipped cottage with loads of extras. Will be back. Thanks.’ Sue & Rob and Raffi the dog. Nottingham. Swallow Cottage, Deanwood Holiday Cottages, Forest of Dean Accommodation, 7 – 11 August 2017. ‘Very comfortable cottage, well appointed with quality fittings. Good area for forest walks.’ Dave, Sue & Daisy (dog), Witham, Essex. Swallow Cottage, Deanwood Holiday Cottages, Forest of Dean accommodation, 10 – 15 August 2017. ‘Very pleasant surroundings for bike ride. A comfortable stay with basic ammenities. Be aware of the oven / grill as the element is close to the door opening. Burnt twice!’ John & Barbara Eastwood, Aveley, Essex. Note from Elaine. Sorry to hear that you got burnt on the element in the oven. I have been and checked it, it is not protruding the lip and doesn’t hang down so I’m not really sure how this happened. Were you using the oven gloves and / or the grill tray handle provided? Were you putting your arm right inside the oven when the grill was on? Swallow Cottage, Deanwood Holiday Cottages, Forest of Dean Accommodation, 31 July – 4 August 2017. ‘Cottage very good. Pity about the weather. Will return in near future. Had some nice walks with the dog, weather not kept us in.’ Dawn & Fred Vaughan & Koby (dog), Derbyshire. Swallow Cottage, Deanwood Holiday Cottages, Forest of Dean Accommodation, 15 – 30 July 2017. ‘Lovely welcome from owners. Very comfortable and well equipped cottage. Ideal for relaxing or great walks through the forest. Will definitely be back.’ Rita, Northampton. Swallow Cottage, Deanwood Holiday Cottages, Forest of Dean Accommodation, 3 – 8 May 2017. ‘Cottage up to 1st class 5 star standard, very cosy & warm. This was our first visit and we will return again. Everywhere was very good for walking without dogs. Nice friendly people. Thanks.’ Harvey & Margaret, Blackburn, Lancashire. Swallow Cottage, Deanwood Holiday Cottages, Forest of Dean Accommodation, 20 – 22 January 2017. ‘Our 2nd visit. A runner & dog walker’s paradise, and we did lots of both. Last visit was during a wet, muddy summer, this time the frosty, frozen ground meant everywhere was accessible. Look forward to returning. Recommend The Miners Inn, the most dog friendly people around! A wonderful weekend. Thank you. x’ Richard, Josie & Red the Irish Water Spamiel, Bridgend. Swallow Cottage, Deanwood Holiday Cottages, Forest of Dean Accommodation, 17 November – 8 December 2016. ‘What can we say – cosy, warm, top of the pops and what a welcome from John & Elaine. Brilliant in every way. Score 11/10.’ Ted & Jenny Marshall, ex Brockweir, homeless until our new home is ready January 2017. Swallow Cottage, Deanwood Holiday Cottages, Forest of Dean Accommodation, 22 – 29 October 2016. ‘A wonderful stay.Cottage perfect for walking, very central for everything. Clean & comfy. We will return especially as we didn’t see the boar this time! !’ Pam & Dave Mosley. Swallow Cottage, Deanwood Holiday Cottages, Forest of Dean Accommodation, 4 – 7 October 2016. ‘Thoroughly enjoyed our stay in this comfortable and well equipped accommodation. We will be back again in the future!’ Brian & Kerry Doyle. Swallow Cottage, Deanwood Holiday Cottages, Forest of Dean Accommodation, 17 – 24 September 2016. 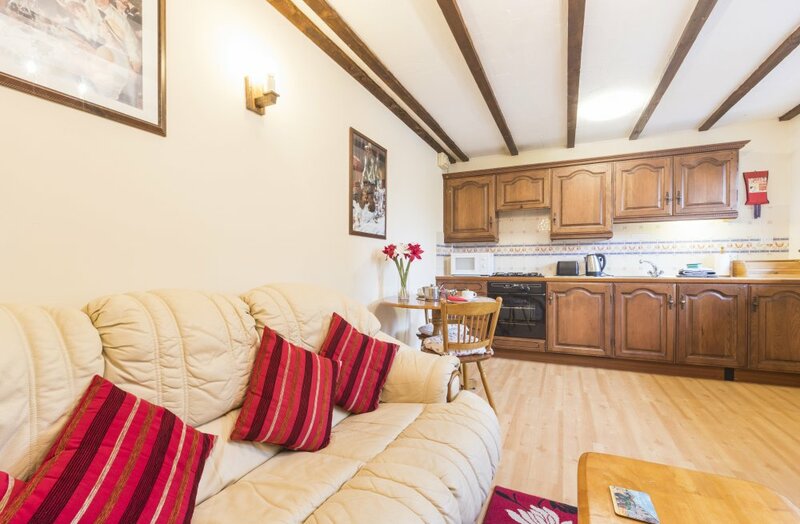 ‘A lovely cottage, very comfortable & clean, had everything we needed, in a lovely location. Helpful & friendly staff. Thanks for a relaxing break. Even the weather was good.’ Paul, Mel & Fern, Bucks. Swallow Cottage, Deanwood Holiday Cottages, Forest of Dean Accommodation, 10 – 17 September 2016. ‘Very pleasant and comfortable. Friendly people. Good surroundings. Enjoyed.’ Wendy & Tony, Ash Vale, Aldershot. Swallow Cottage, Deanwood Holiday Cottages, Forest of Dean Accommodation, 5 – 8 September 2016. ‘Fantastic little cottage, had a lovely relaxing time, enjoyed walks through the forest. Pebbles (dog) loved it. Thank you. x’ Paul & Janette Beckett, Nottinghamshire. Swallow Cottage, Deanwood Holiday Cottages, Forest of Dean Accommodation, 2 – 5 September 2016. ‘Our really enjoyable and relaxing long weekend was enhanced by the very comfortable and thoughtfully equipped cottage in lovely surroundings. This, plus the personal welcome, all deserved a 5* rating.’ Janet & Ron Scott, Worcestershire. Swallow Cottage, Deanwood Holiday Cottages, Forest of Dean Accommodation, 23 – 30 July 2016. 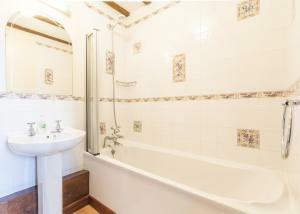 ‘Lovely cottage, immaculately clean. This was our first visit to the area and we have enjoyed lots of lovely walks in the forest. Hope to come back again.’ Elaine & John Devlin with Deacon, Selkirk. Swallow Cottage, Deanwood Holiday Cottages, Forest of Dean Accommodation 19 – 22 April 2016. ‘Comfortable and clean, no hassle, would recommend.’ Nigel & Pepie, Kilrush, Ireland. Swallow Cottage, Deanwood Holiday Cottages, Forest of Dean Accommodation,21 – 23 March 2016. ‘Perfect little cottage, well equipped, warm & cosy. Great walking in the area, seen lots of deer but no boar. Can recommend the Fountain Inn at Parkend – dog and coeliac friendly! Shame the car broke down so we had to leave early.’ Adam & Kim with Jade, Maggie & Purdey, Sandbach, Cheshire. 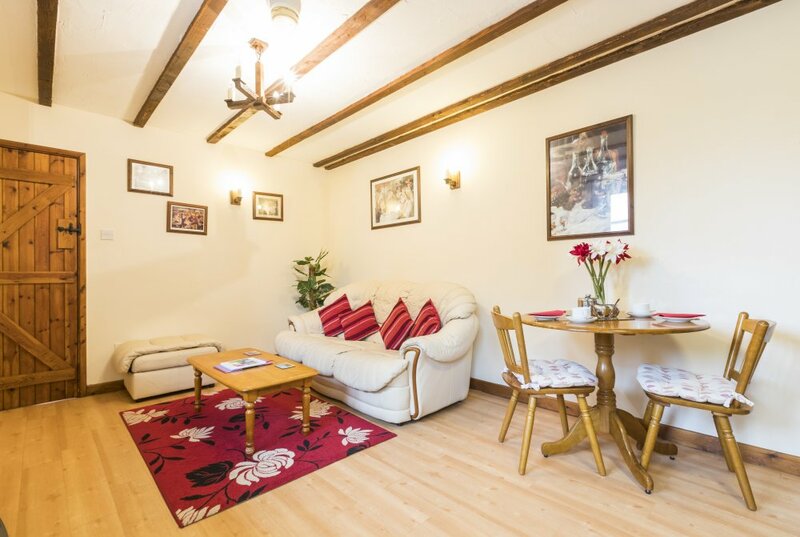 Swallow Cottage, Deanwood Holiday Cottages, Forest of Dean Accommodation, 22 – 26 February 2016. ‘Great place, nice people.’ Bob & Deb, Bexley, Kent. Swallow Cottage, Deanwood Holiday Cottages, Forest of Dean Accommodation, 19 – 23 October 2015. ‘Thank you for such a beautiful stay in a restful and comfortable place. The cottage had everything we needed and was so clean. We have had a lovely time here and will definitely return. We really enjoyed walking through the forest and enjoying nature at its most beautiful.’ Sam, Rich & Beth, N. Warwickshire. Swallow Cottage, Deanwood Holiday Cottages, Forest of Dean Accommodation, 15 – 18 October 2015. ‘Excellent! Thank you very much for a spotlessly clean cottage and with constant hot water & heating. So well equipped for us and the dogs (including hose/tap for rinsing off inevitable mud!). Exactly what it said on the tin.’ Janet, Margaret, Rosie, Meg Daisy, Northants & Rutland. Swallow Cottage, Deanwood Holiday Cottages, Forest of Dean Accommodation, 18 – 24 September 2015. ‘Lovely accommodation, clean & comfortable. Elaine & John very helpful. Beautiful location. Did a lot of sightseeing. Would love to come back again. P.S. Keep toaster on low setting!’ Anne & Peter Dunne, Merseyside. Swallow Cottage, Deanwood Holiday Cottages, Forest of Dean Accommodation, 11 – 18 September 2015. ‘A very good location, many attractions. Really enjoyed our week’s stay. A Big Thank You.’ Jeff & Margaret, Boston, Lincs. Swallow Cottage, Deanwood Holiday Cottages, Forest of Dean Accommodation.20 – 27 June 2015. 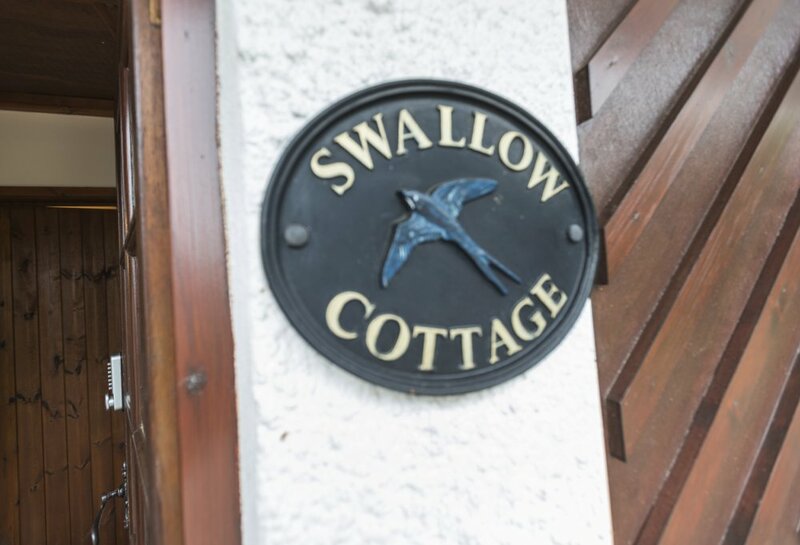 ‘Really enjoyable stay in Swallow Cottage. Plenty of woods to walk the dogs in and wildlife. Hosts very helpful. Would recommend to friends and return ourselves sometime.’ Pauline & Richard with Ellie & Sailor, Lincolnshire. Swallow Cottage, Deanwood Holiday Cottages, Forest of Dean Accommodation, 6 – 12 June 2015 ‘Great stay. Cottage well equipped and clean. Well maintained surroundings, a very peaceful and ideal situation. Everything you could possibly need for a great holiday and weather was perfect for walking – dogs loved it as well. Thanks.’ Claire & Adrian Semmens, Cornwall. Swallow Cottage, Deanwood Holiday Cottages, Forest of Dean Accommodation, 11 – 15 June 2015. ‘Great stay. Location perfect, cottage ideal. Worst moment: walking out of The Miners Arms after refusing to pay for a dreadful, overprices meal. Great pub food at Nag’s Head and The Fountain!’ Ann & Steve, Maldon, Essex. Swallow Cottage, Deanwood Holiday Cottages, Forest of Dean Accommodation, 27 – 30 March 2015. ‘Had a lovely quiet break. Cottage was lovely and well equipped. Would love to return soon! ‘ Julie & Jansen King, Birmingham. Swallow Cottage, Deanwood Holiday Cottages, Forest of Dean Accommodation, 29 December 2014 – 2 January 2015. ‘Happy New Year! What a great way to spend the New Year, great walks for us all to enjoy, good food in the Miners Arms. Trip to Mallards Pike worthwhile. The cottage was perfect for us, Thank you!’ Emily & Rob with Bertie the beagle, N.Devon. Swallow Cottage, Deanwood Holiday Cottages, Forest of Dean Accommodation,19 – 26 September 2014. ‘Really nice cottage. Welcome pack was a lovely thought. A really big Thank You for all your help when our car broke down.’ Jeff & Margaret, Lincolnshire. 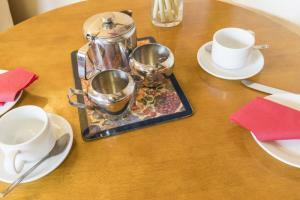 Swallow Cottage, Deanwood Holiday Cottages, Forest of Dean Accommodation,12 – 14 September 2014. ‘Thanks for a lovely stay in a very comfortable cottage.’ Cheryl & Matthew, Cardiff. 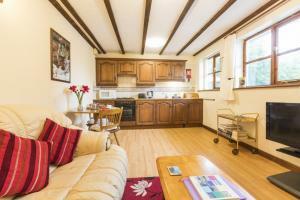 Swallow Cottage, Deanwood Holiday Cottages, Forest of Dean Accommodation, 5 – 8 September 2014. ‘Comfortable cottage in a lovely peaceful location. Great forest walks on the doorstep. Thoroughly enjoyed our stay. Thank you.’ Marilyn & Dave, Ramsey, Cambs. Swallow Cottage, Deanwood Holiday Cottages, Forest of Dean Accommodation, 11 – 14 July 2014. ‘We had another lovely stay on our 5th visit. The weather has been perfect and we’ve had lots of long walks. We really like the new flooring in the cottage and continue to find the whole holiday very idylic. Jack has had a great time and is worn out! Looking forward to coming back soon, thanks very much.’ Doreen, Helen & Jack, Essex. Swallow Cottage, Deanwood Holiday Cottages, Forest of Dean Accommodation, 28 June – 5 July 2014. ‘A lovely peaceful location and a comfortable well equipped cottage. The site is clearly very well cared for and we had a warm welcome on arrival. Had sunny weather all week, so enjoyed lots of walks in the Forest of Dean. Thanks.’ Jan & Lisa and Phoebe & Pip the dogs, Leicester. Swallow Cottage, Deanwood Holiday Cottages, Forest of Dean Accommodation,25 – 28 June 2014. ‘We were very comfortable and enjoyed our stay. Thank you very much.’ Robin & Eileen, Hampshire. Swallow Cottage, Deanwood Holiday Cottages, Forest of Dean Accommodation, 28 April – 2 May 2014. ‘Fab stay, seen deer, boar & badgers – wonderful. So peaceful. Enjoyed every minute!’ Helen & Kev, Felixstowe. Swallow Cottage, Deanwood Holiday Cottages, Forest of Dean Accommodation, 7 – 15 April 2014. ‘Very cosy, comfortable cottage. Your attention to detail is a credit to you. Enjoyed our stay & v.pet friendly. Highly recommended.’ Delia, Vince & Casper, Middlesex. 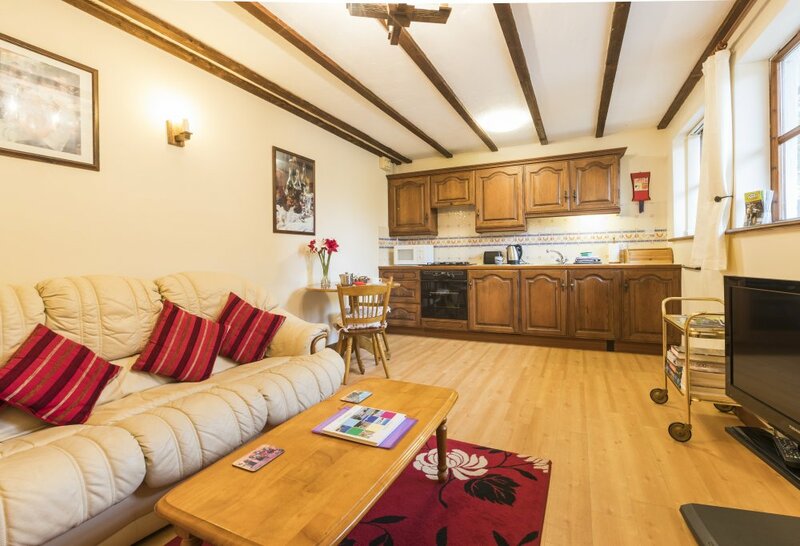 Swallow Cottage, Deanwood Holiday Cottages, Forest of Dean Accommodation, 6 – 12 February 2014. ‘Enjoyed our stay in your cosy and comfortable cottage. It was an excellent base for us all. Great to have a ‘dog friendly’ cottage too. Many thanks for all.’ Bob, Wendy & Truffle, Suffolk. Swallow Cottage, Deanwood Holiday Cottages, Forest of Dean Accommodation, 27 – 30 December 2013. ‘Really impressed with the cottage. Very comfortable. Access to walks was great and we saw the deer and played with the boar. Forest of Dean is a lovely area. Cheers.’ Dave & Honor, Milton Keynes. Swallow Cottage, Deanwood Holiday Cottages, Forest of Dean Accommodation,9 – 16 September 2013. ‘We very much enjoyed our cottage, everything needed there, very clean and the chocolates, tea, milk & coffee were welcome after our journey. Didn’t see the boar or deer but walks through the forest and good weather were great.’ Ray & Rose, West Midlands. Swallow Cottage, Deanwood Holiday Cottages, Forest of Dean Accommodation, 25 August – 8 September 2013. ‘Had a lovely two weeks here. Saw the boar but not the deer. Weather has been wonderful. Been to Nags Head Nature Reserve in Parkend to see the boar but not seen the deer there not even in the Forest. So quiet and peaceful. Nice to see Elaine & John again. We’ll be back in December! Andrew & Heather, Dorset. Swallow Cottage, Deanwood Holiday Cottages, Forest of Dean Accommodation, 2 – 9 August 2013. ‘Had a peaceful stay, everything you need in cottage. Nice bed linen, towels etc. A nice gesture with milk, tea, coffee also chocs. Thank you.’ Hugh & Kathy, with Finn. Scottish Borders. Swallow Cottage, Deanwood Holiday Cottages, Forest of Dean Accommodation,26 July – 2 August 2013. ‘Had a great stay starting with a warm welcome! 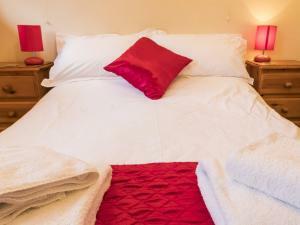 Lovely comfy bed, beautifully clean bed linen and ‘snow white’ towels. Lots of places to see, gorgeous walks in the Forest – even managed a bike ride! Look forward to returning! Thanks.’ Maggie & Derek, Devon. Swallow Cottage, Deanwood Holiday Cottages, Forest of Dean Accommodation, 1 – 8 July 2013. ‘What a welcome, everything really lovely, comfortable home from home. Love our walks in the Forest and also around and about local villages and towns. Our small dog ‘Honey’ loves it that she can roam in the woods off her lead to her heart’s content. We will certainly be back in the future. Thank you for chocolates, very welcome.’ Christine & Richard, Huntingdon, Cambs. Swallow Cottage, Deanwood Holiday Cottages, Forest of Dean Accommodation, 26 April – 3 May 2013. ‘Loved the accommodation and location – everything perfect.’ Phyllis, Berkshire. 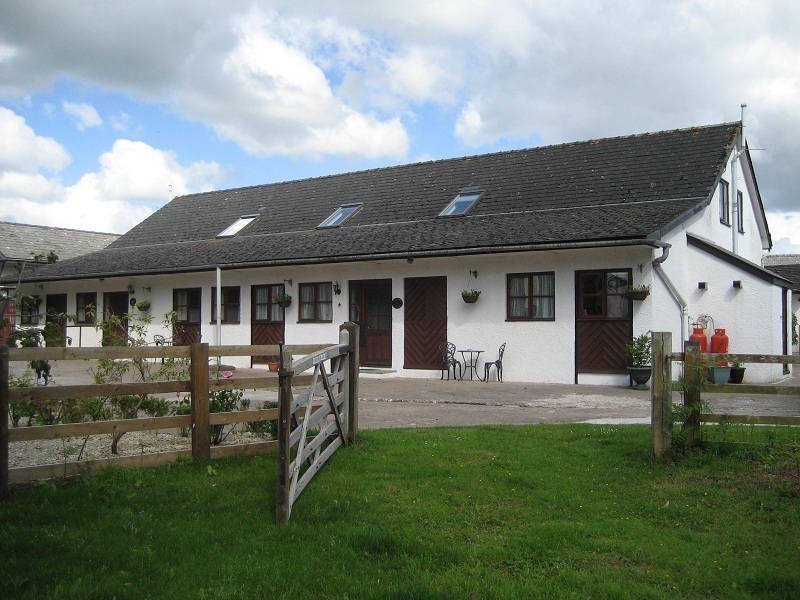 Swallow Cottage, Deanwood Holiday Cottages, Forest of Dean Accommodation, 5 – 12 April 2013. ‘Had a great week. Received a warm welcome. Thank you for the chocs. Cottage well equipped and lovely and warm with plenty of hot water. Great access to the woods – the dogs loved it! We will definately come again and recommend to our friends.’ Mary & Keith, Hertfordshire. Swallow Cottage, Deanwood Holiday Cottages, Forest of Dean Accommodation, 16 – 23 March 2013 ‘A most enjoyable holiday despite the cold weather. Cottage very warm and cosy. We had a delicious Sunday Lunch at the Fountain Inn. Travelled by train to Worcester, Shrewsbury, Cardiff and Newport. Thank you for your warm welcome and the chocs.’ Jenny & Ray, Somerset. Swallow Cottage, Deanwood Holiday Cottages, Forest of Dean Accommodation, 2 – 9 March 2013 ‘Great access to the woods, the dogs loved it. The cottage was lovely and was warm with good kitchen facilities. The welcome chocs were a nice touch. Just a few tiny problems, the toaster burnt on lowest heat and it would have been nice to have a few more toilet rolls and washing up liquid. Had a nice week, would return.’ Alison, Steve and the two Huskies Bear & Kai. Note from Elaine – one new toilet roll is supplied in each cottage, thereafter if more is required we would expect you to buy your own. Washing up liquid is also provided, and normally there is plenty for a week. Thanks for letting us know about the toaster, we have now replaced that. Swallow Cottage, Deanwood Holiday Cottages, Forest of Dean Accommodation, 15 – 18 February 2013. ‘The cottage had everything we wanted and more! Saw white deer but no hogs. Walked for miles every day, going home for a rest! Our dog Marley no longer jumps up when he hears his lead, he also needs a rest!’ Steve & Anita, Chelmsford, Essex. Swallow Cottage, Deanwood Holiday Cottages, Forest of Dean Accommodation, 8 – 15 February 2013. ‘We have had a lovely time – only 2 miles away from where I grew up. Relatives were happy to see Heather & me. Hope to come back in the summer. The owners were very nice, we enjoyed ourselves very much.’ AN & HL, Lyme Regis. Swallow Cottage, Deanwood Holiday Cottages, Forest of Dean Accommodation. 11 – 13 January 2013 ‘We came here to have a relaxing weekend away from home and we were greeted by Elaine who was very nice and understanding (after we got ourselves lost and asked for directions). The cottage is incredibly lovely and has all the necessities we require and the cottage itself is very quiet and relaxing. We travelled to twon which was very nice with lots of lovely people. It’s unfortunate we have to leave a day early due to work committments but it’s been great being here!’ P & V, Wellingborough, Northants. Swallow Cottage, Deanwood Holiday Cottages, Forest of Dean, 28 – 30 September 2012. ‘ We first visited last year just as Elaine & John had taken over – this year improvements are very noticeable – Lovely welcome tray, Chocs and pint of milk, much more comfortable sofa, nicely landscaped parking area. Again, we were made to feel very welcome, like old friends rather than visitors & I did notice I didn’t need to bring anything in the way of towels, tea towels, even washing up liquid & scourer! Nice touches. We shall certainly re-book next year if we attend Summer’s End festival in Lydney next year, Thanks.’ A & N, Isle of Wight. Swallow Cottage, Deanwood Holiday Cottages, Forest of Dean, 10 – 14 September 2012. ‘Lovely place – you have thought of everything. Nice walks from cottage, saw rabbits, bats and signs of wild boar – but didn’t see one. Thank you for a lovely stay. Would recommend. Will come back if in area. Thank you. R & B & O, Epping, Essex. Swallow Cottage, Deanwood Holiday Cottages, Forest of Dean 18 – 22 June 2012 ‘Nice cottage in lovely surroundings. Good walking for the dogs. Pity about the English weather. Would come back. Fountains Pub and The Miners Arms recommended (book on Saturday). Thanks.’ S & J, Durham.